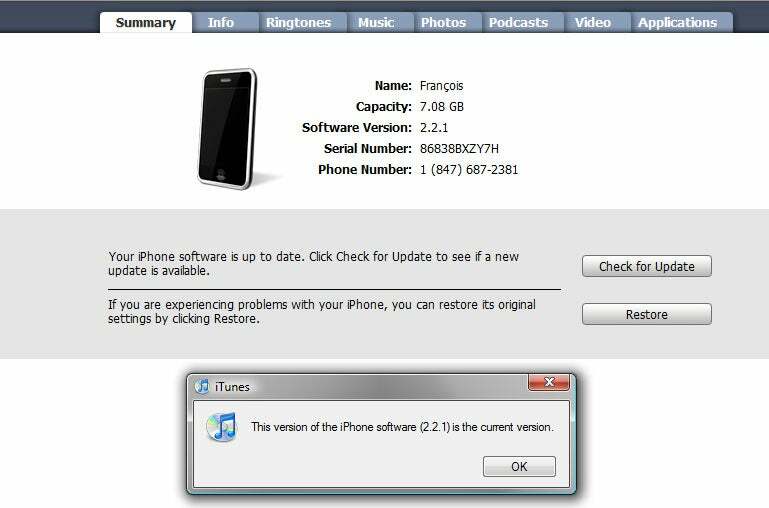 iPhone 3.0: What Happens to Your Jailbreak? Utter the word “firmware” to the average PC user, and you'll likely elicit a blank stare in return. But the concept isn't really that hard to understand, and once you have this knowledge, you can quickly improve your PC and any number of other devices, making them faster, more stable, and supplemented with features that didn’t come in the box. Firmware is a set of permanent instructions on a piece of hardware, stored in the device’s read-only memory. It’s analogous to a driver file that’s embedded in the device, providing the hardware identical information each time it powers up. While you can modify the hardware’s interaction with your operating system via software drivers, certain lower-level functions of a device remain constant and unchangeable. That’s firmware. But even though we call it "unchangeable," it isn't necessarily so. Some firmware, located in the device’s PROM or EPROM (programmable read-only memory or erasable programmable read-only memory), can be altered, or "flashed." You do this by running software applications from the device’s manufacturer; such programs load new firmware onto the device to extend its feature set, life span, or performance, as well as to correct significant errors. Firmware isn't a PC-only concept. You can (and should) update the firmware in external devices such as network-attached and external storage hubs, as well as wireless routers and portable media players. You can even upgrade the firmware on your phone, depending on the model. (That's how people hack the iPhone--and how Apple tries to outsmart them. Firmware updates from Apple overwrite the customized firmware that some people use to jailbreak and unlock the devices, sending hackers back to the drawing board to search for a new, deployable approach.) Other products in your house--like Microsoft’s Xbox 360, which gained features such as native 1080p HD support and a new user interface via a single download--can also benefit from firmware updates. 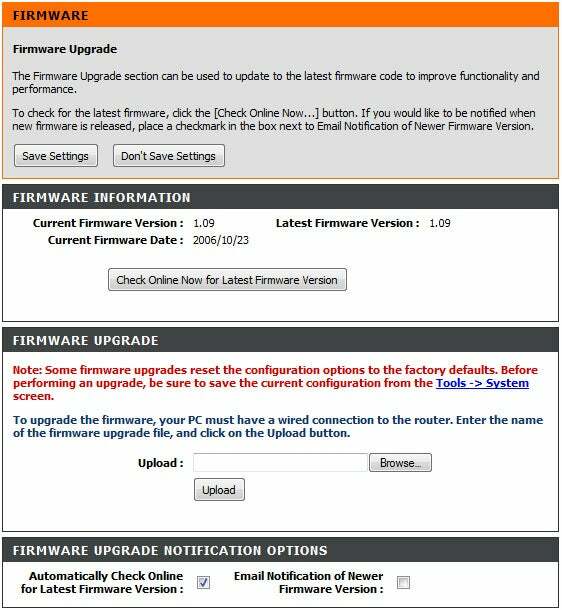 The frequency of a device’s firmware updates varies by manufacturer and product. Though you shouldn’t expect to find updates on a weekly basis, you should perform a firmware search for all of your PC’s devices at least once per quarter. Manufacturers often stress that you should ignore firmware updates unless you’re having a problem with your hardware; but we recommend that you run your hardware on the most up-to-date firmware you can find, since the increased stability (as well as the potential to gain new features) is worth it. Unless you're an expert, you probably don't want to use third-party firmware like the iPhone hacks mentioned above. Such offerings are typically more complicated to install--and more likely to cause problems--than are normal, manufacturer-supplied firmware updates. They can also void a warranty. Unless you know what you're doing and you don't mind the risks, stick to official firmware. What can you update with new firmware? It varies. Few devices receive zero firmware updates over the course of their lifetime--CPUs benefit from motherboard firmware updates, but are not upgradable themselves. Components such as hard drives and optical drives are open to firmware updates, but the device manufacturers tend not to release fixes unless they correct a specific, disastrous problem. At least, that’s what happened with Seagate’s launch of its Barracuda 7200.11 1.5TB hard drives: Users reported freezing and intermittent hangs when accessing the drive, and Seagate released a firmware update to correct the issue. You’ll find the real meat of firmware upgrading in three areas: your motherboard, your networking devices, and your portable media devices. But what will you get for your meddling? In all three cases, firmware upgrades can provide access to additional features and stability that don’t exist out of the box. You could potentially increase ability (and stability) for overclocking your motherboard, integrate advanced utilities such as BitTorrent downloading into your network-attached storage, or, in the case of a device like Apple’s iPhone, improve the response times and signal strength of your mobile gear. Firmware updates might not revolutionize your digital experience, but they will improve it, and they're oftentimes necessary for new driver updates or additional device compatibility. Before you hit your search engine of choice and start downloading every firmware update you can find, it’s important to consider a few points. For starters, although firmware upgrading isn’t very difficult to do, it has the potential to cause catastrophic damage if you fail to follow the instructions that the manufacturer provides. A firmware update isn’t like a device driver--you can't just uninstall it and reinstall it at a whim. Compared with driver installation, rolling back your firmware if your initial installation gets botched is much more difficult. Plug your iPhone into your computer, and Apple's utility handles the firmware update for you. Check, double-check, and triple-check that you’re grabbing the correct firmware for your device. Some companies make that easy--plug your iPhone into your computer, for instance, and Apple will automate the entire process for you. Other companies, namely motherboard manufacturers, might force you to wade through drop-down menus of their entire product line to find your product’s unique ID. Most devices won’t let you install a different product’s firmware, but in the off chance that yours does, the last thing you want to do is flash your product--the technical term for upgrading firmware--with the wrong file. Many routers include an option to download and install a firmware update from within the browser interface. Finally, firmware upgrades can act as a reset switch for your devices. While some flash utilities give you the option to save and restore your settings before and after the update, a typical firmware update will revert your device back to its factory-default settings. That might not be the biggest concern for the average user, but if you’ve spent a lot of time setting up custom networking configurations on your router, you’ll want to save those settings prior to a firmware update. Unless your router offers some kind of settings-backup functionality (check the menus and the manual to find one), you should copy your pertinent settings (such as port forwards, access controls, and wireless network configurations) into a text document.